While most financial advisers offer a valuable service to their clients, many people have stories about those who failed to understand their needs or were ignorant of useful products or important legislation. Yet blundering on without seeking the right advice can prove extremely costly. Mark Nind has worked in financial services for most of his working life and has seen the perils and pitfalls of investment planning from the points of view of the bank, the independent adviser and the customer. 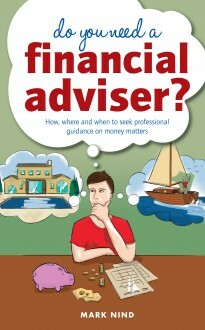 In this book he explains the financial adviser’s role clearly and objectively and gives valuable tips about when you should seek advice about what to do with your money, where you should go for it and how you should use it.